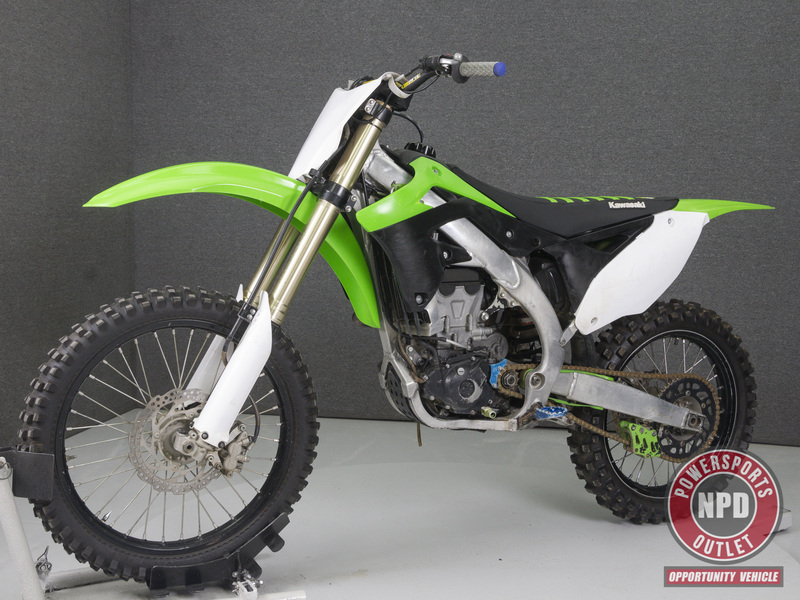 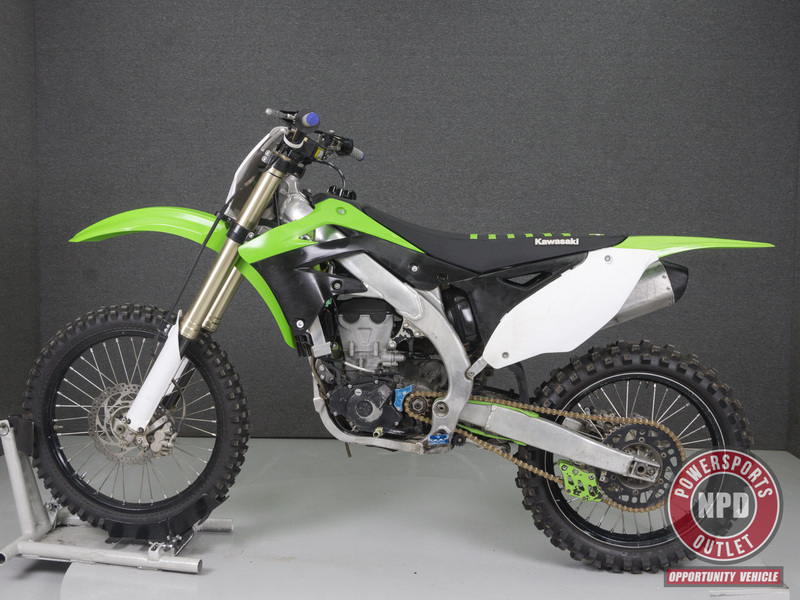 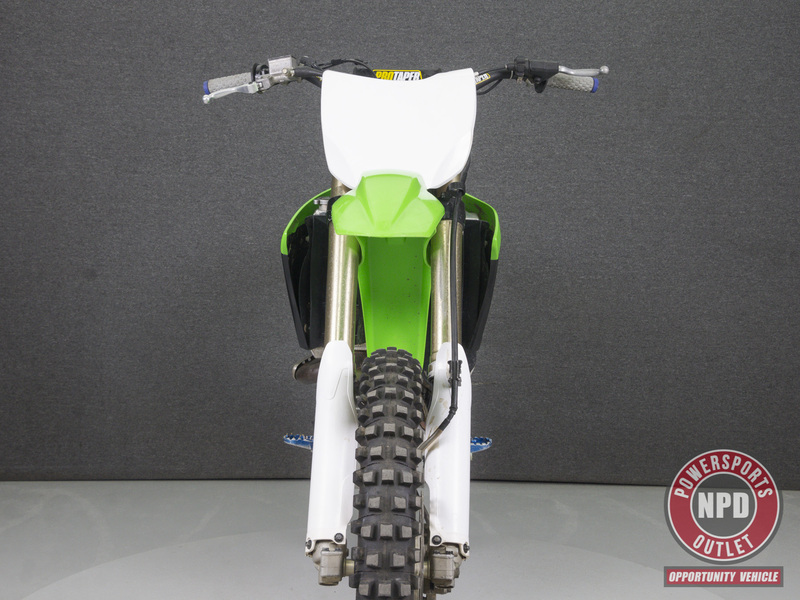 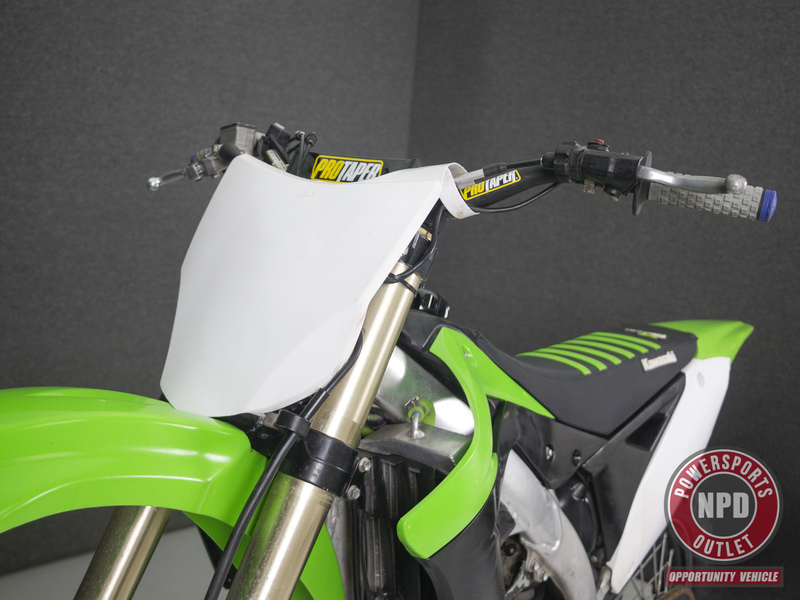 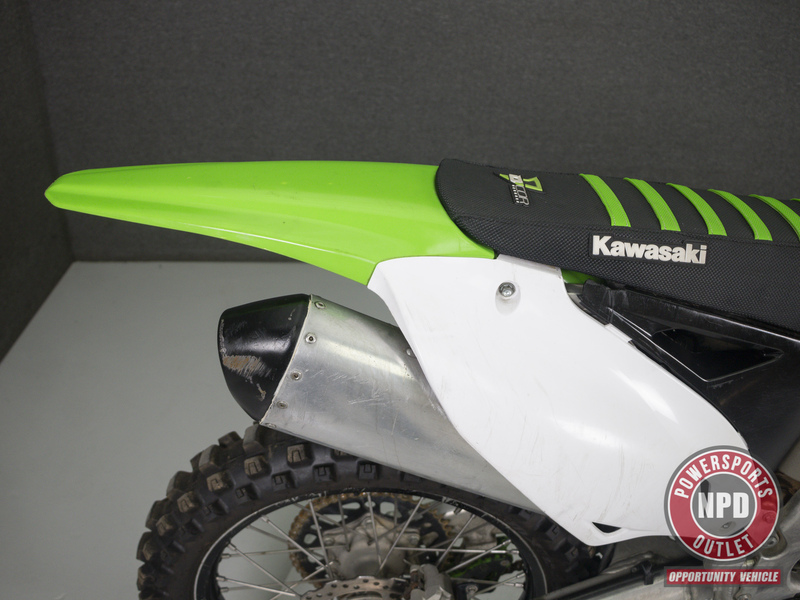 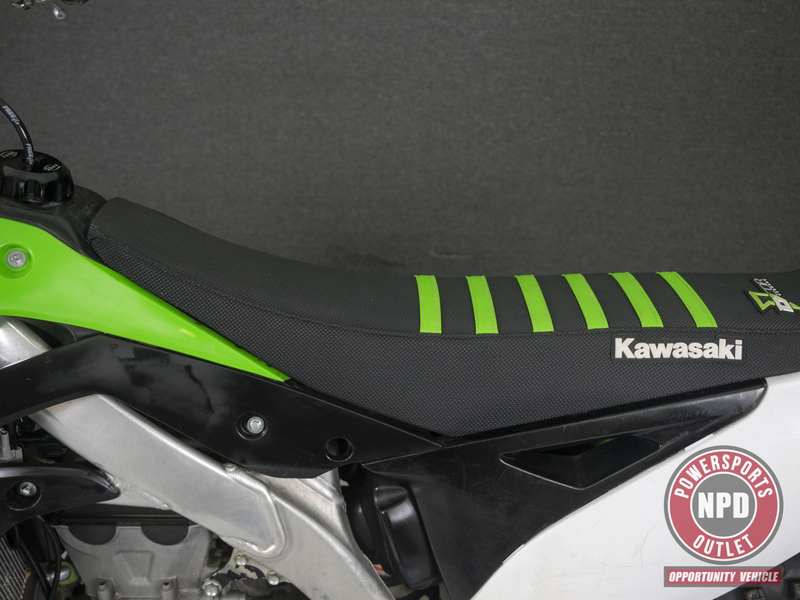 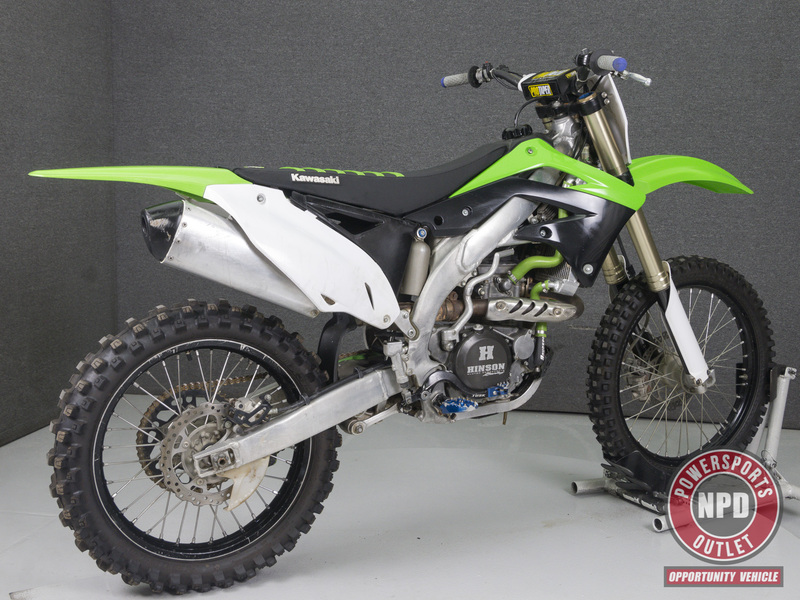 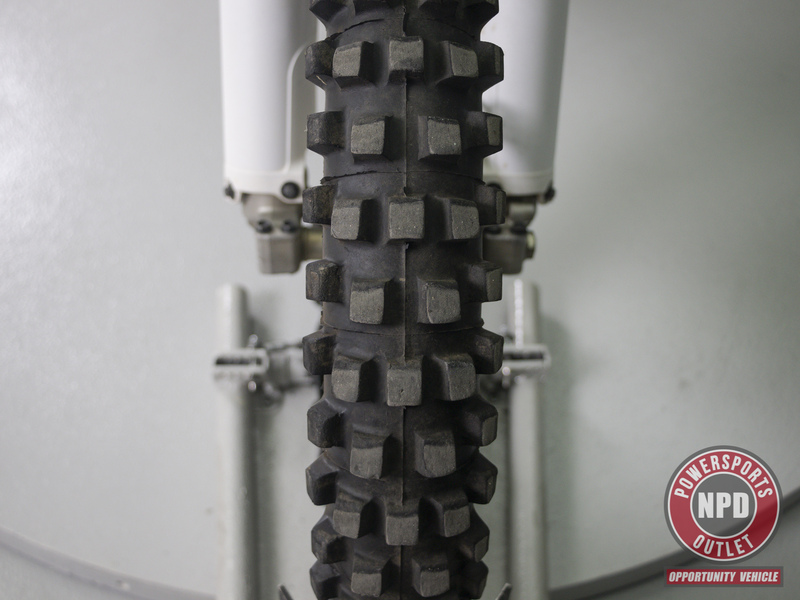 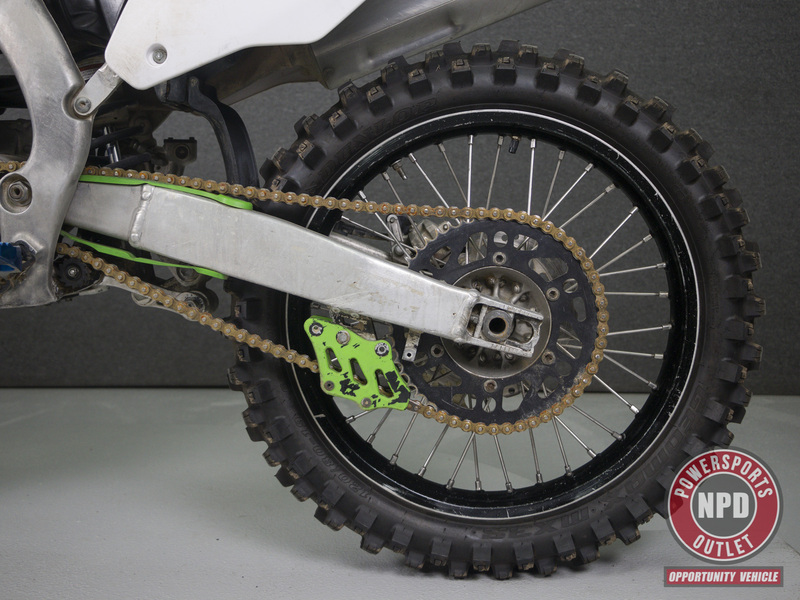 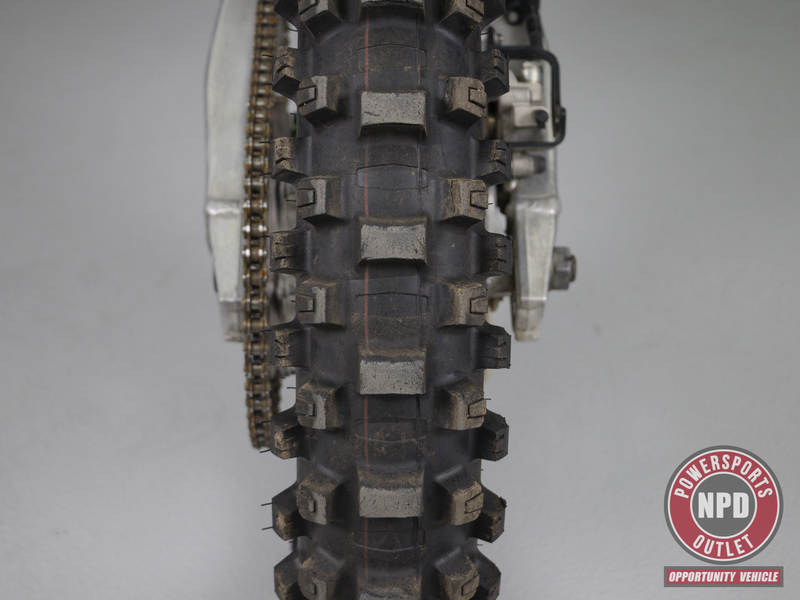 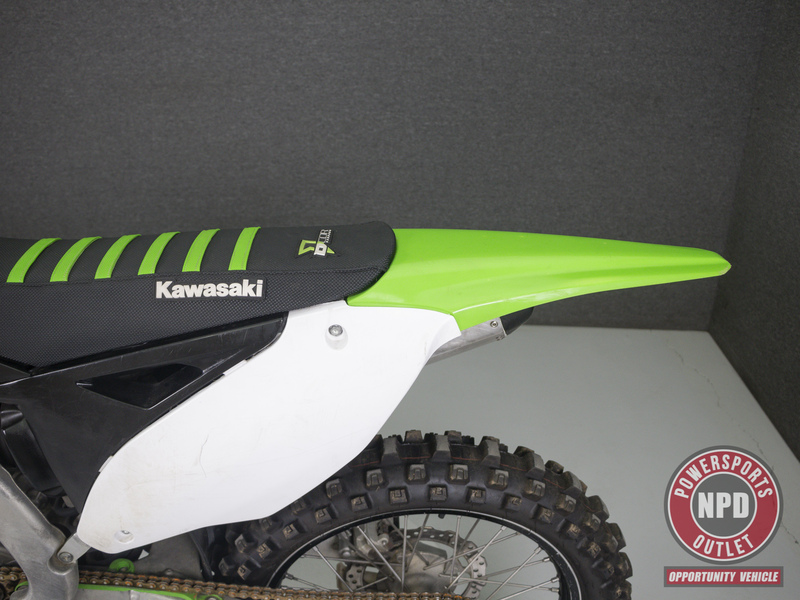 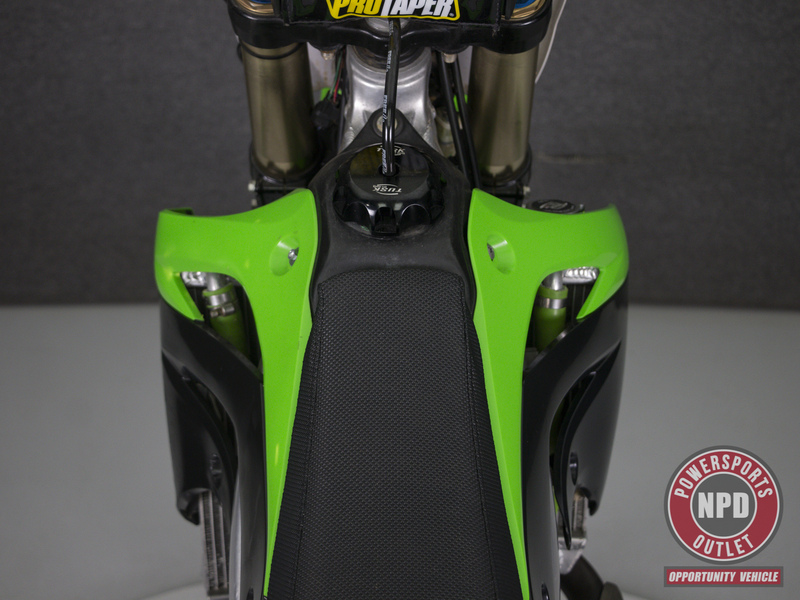 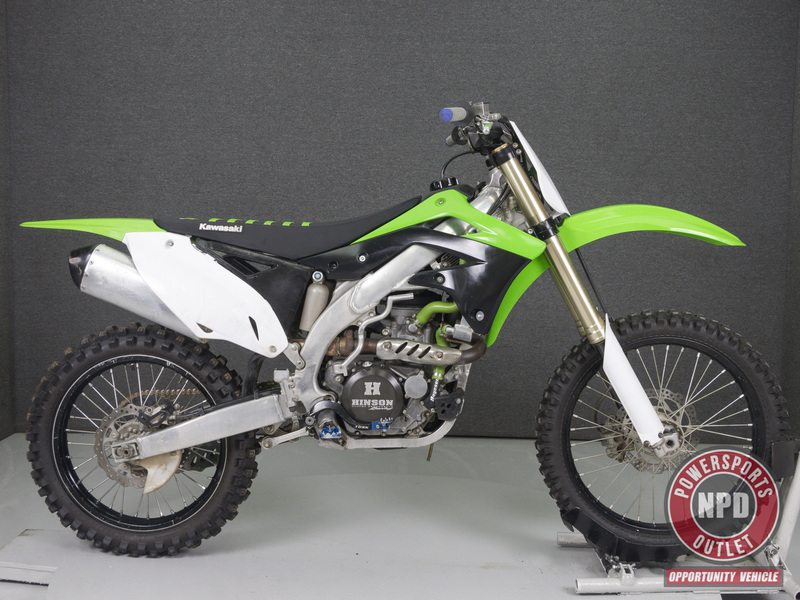 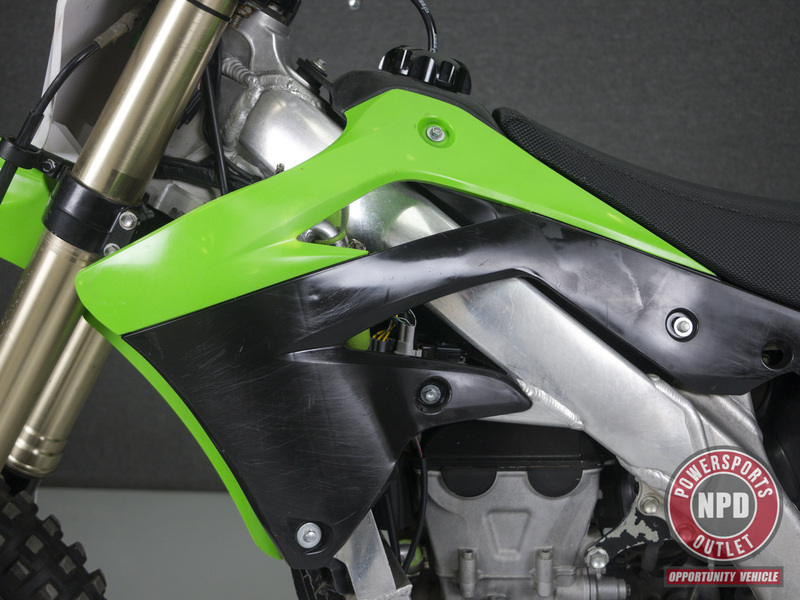 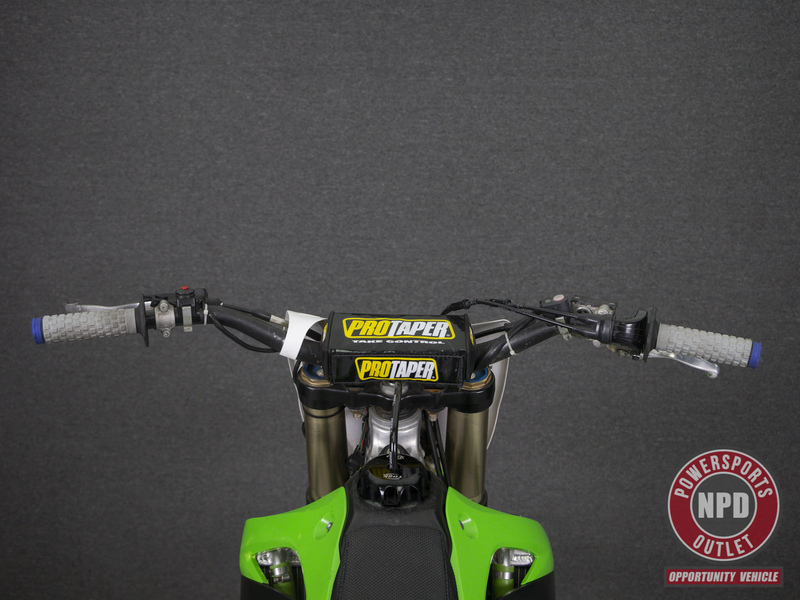 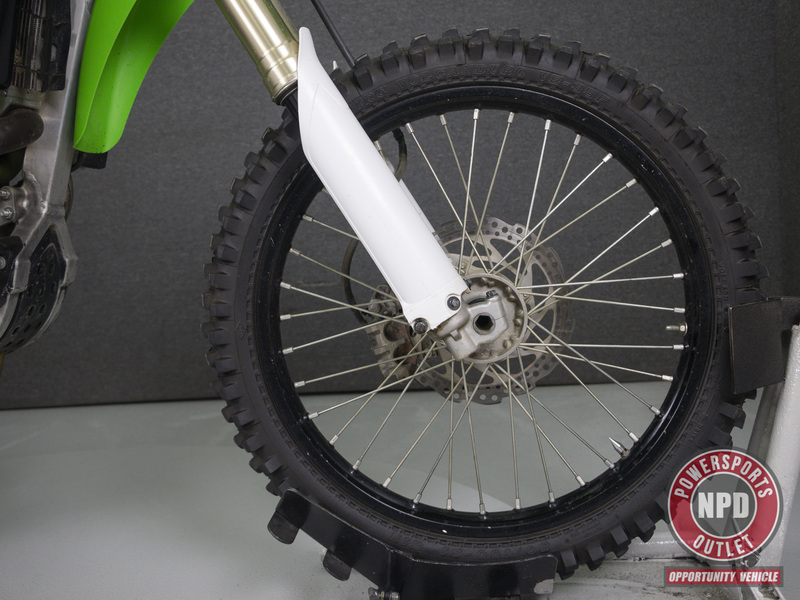 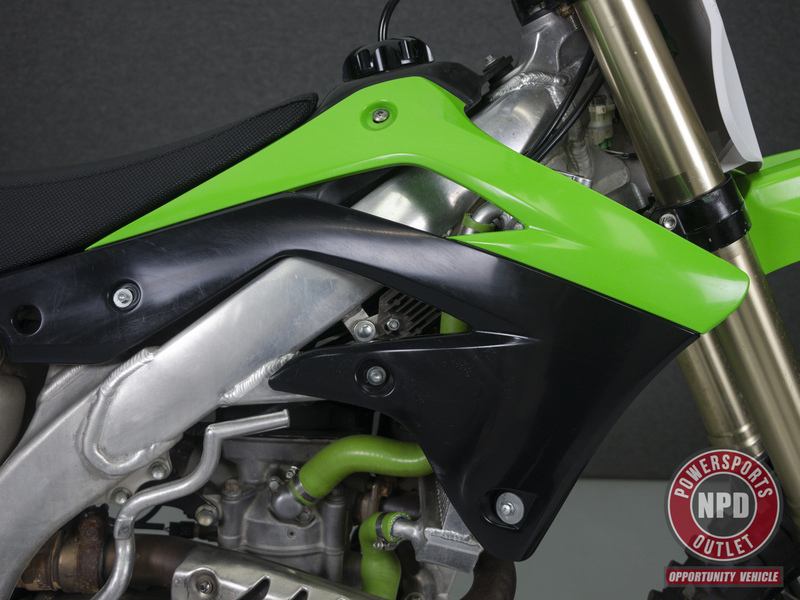 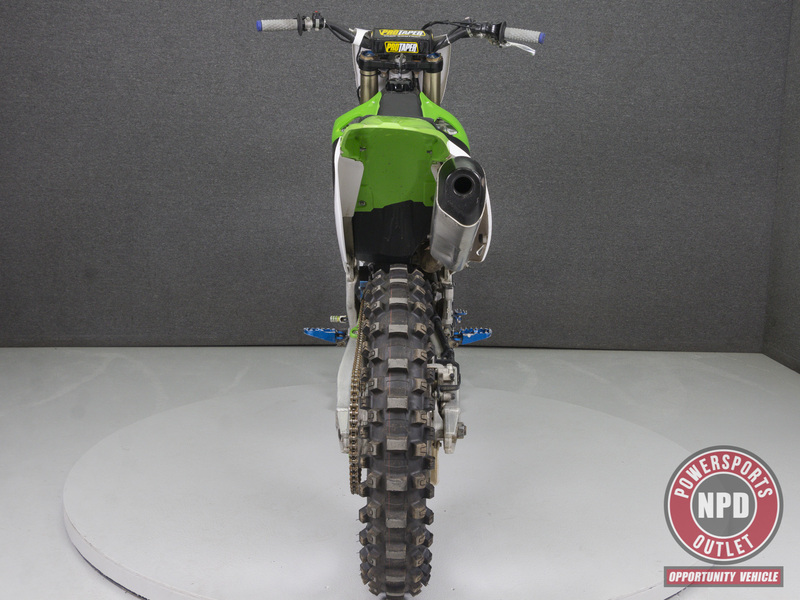 This 2012 Kawasaki KX450F has been detailed, runs, rides, and shifts well. 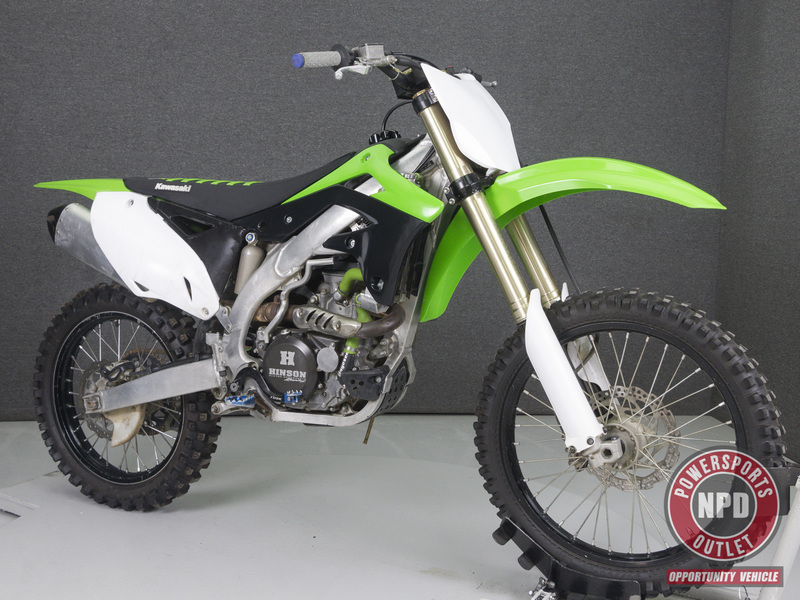 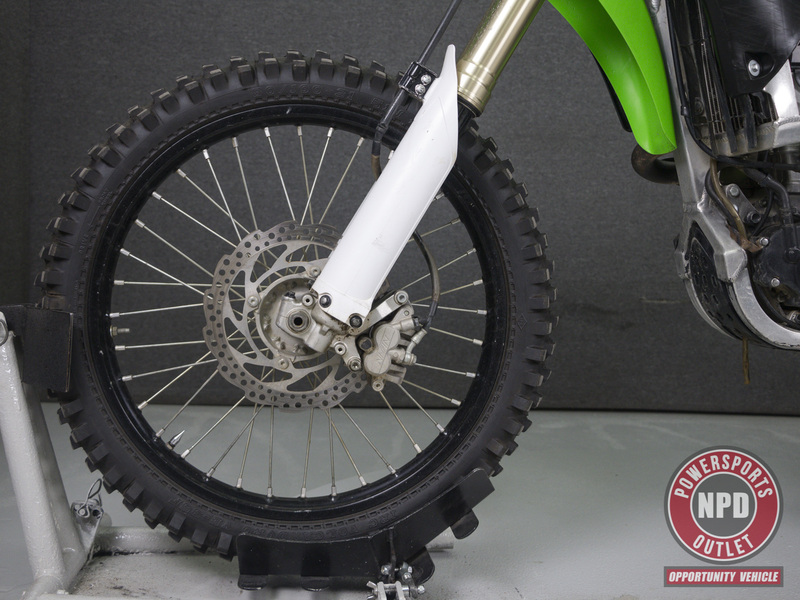 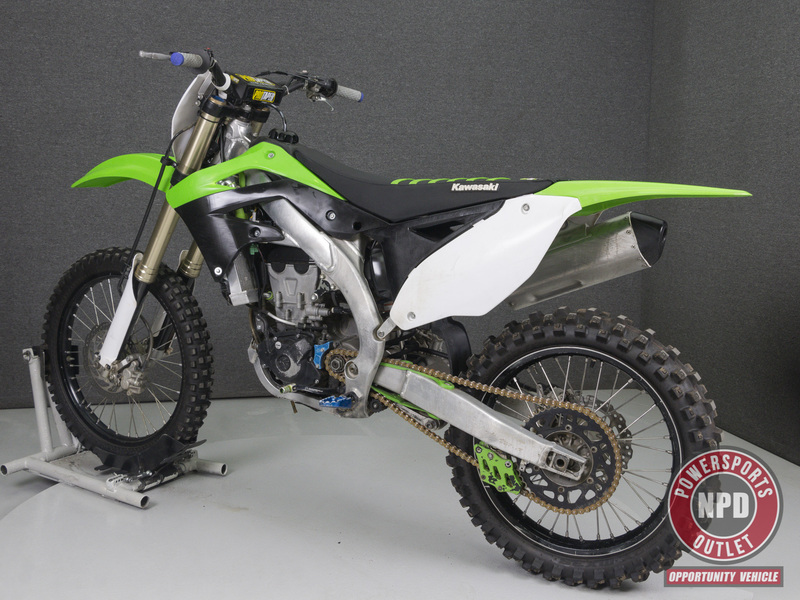 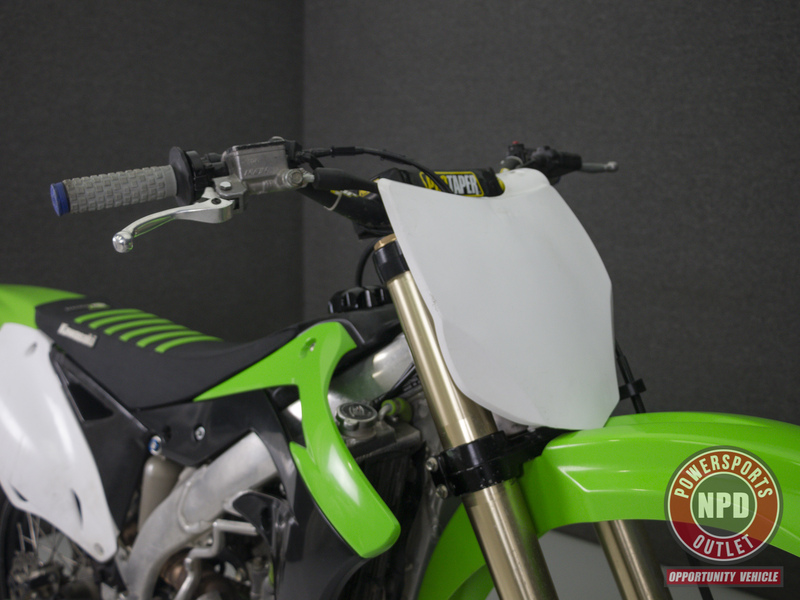 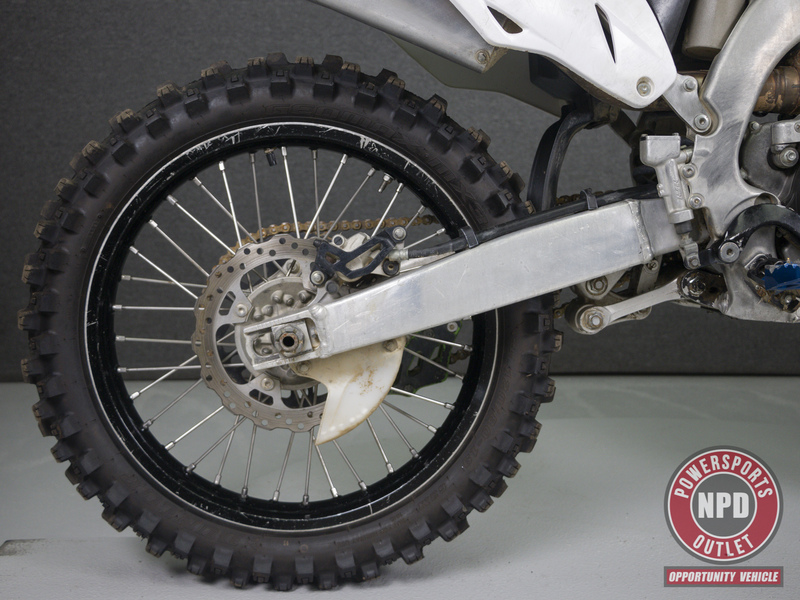 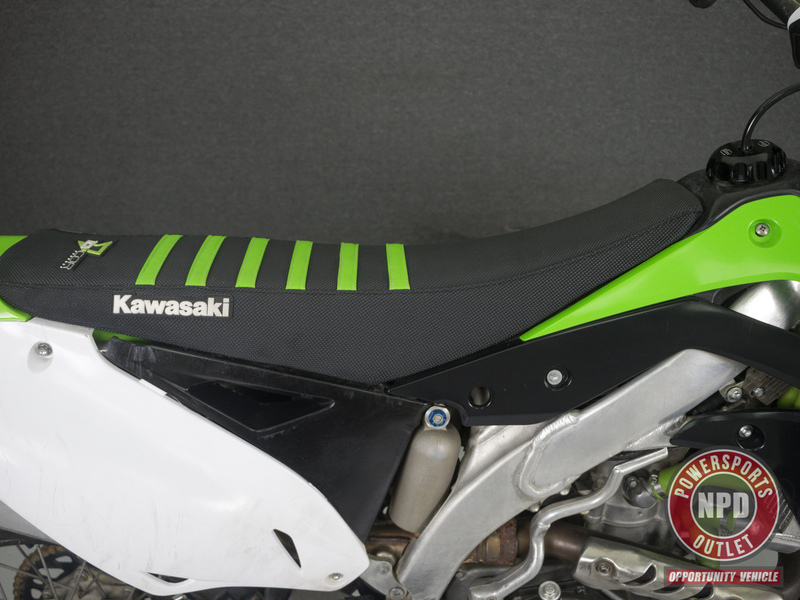 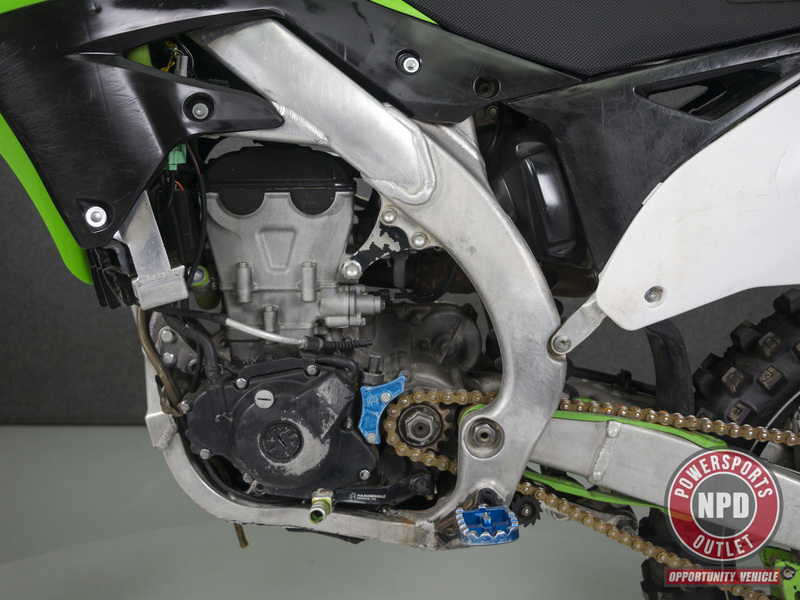 Powered by a 449cc single cylinder engine with a 5 speed transmission, the KX450F has a seat height of 37.6" and a dry weight of 249 lbs. 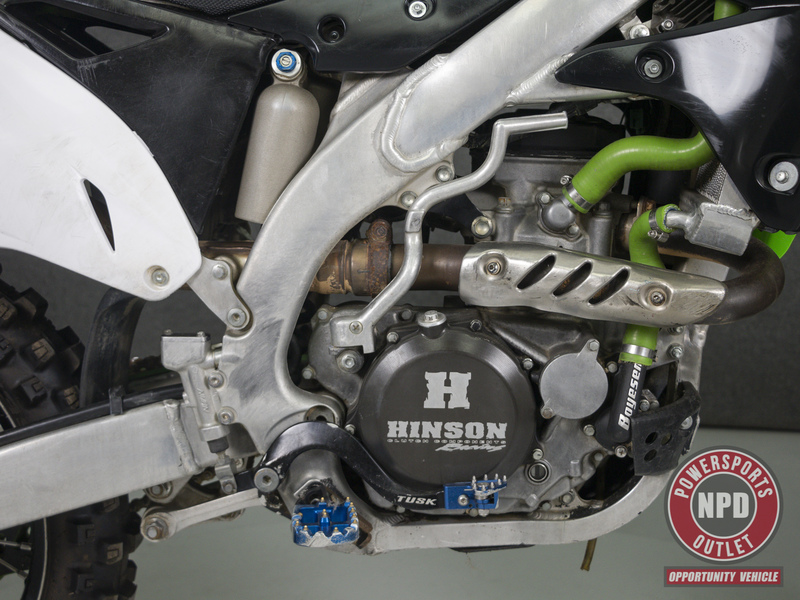 This bike has been upgraded with a Hinson clutch, Boyson water pump, radiator cap, green coolant hoses, Protaper grips, increased capacity radiators, Tusk foot brake lever, Dcor seat cover, Hammerhead shift arm, Tusk fuel cap, chain guides, Twin Air air filer, and the previous owner stated that it has stage 2 cams, though we did not open the engine case to verify.